In class, we will be working on Blanket stitch, Outline/Stem stitch and French Knots. I will explain and demonstrate starting and stopping, going around inside and outside curves, inside and outside corners, we will discuss how many strands of floss, needles and much more. 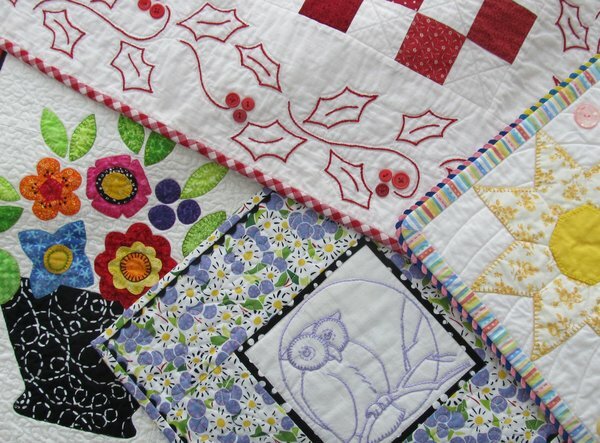 I will share a wide variety of projects I have made incorporating embroidery into my quilts whether it is the main focus or accents and details! Hand embroidery can be very relaxing and is a great take along project. Beginners welcome!